I will admit that I know my fair share of celebrity gossip. Checking out in the grocery store, my eyes land on the tabloids and I find myself entranced by the headlines of secret affairs and bikini bodies. I always find People magazine’s “Best of/Worst of” issue in my Christmas stocking, and I quickly devour it before the day is out. Luckily, my interest in pop culture is not useless. In fact, there is indeed a connection between this book, detailing a chilling genocide and the subsequent reaction of the global community, with some of the most famous United States celebrities. The famous Kardashian sisters are of Armenian descent. Interestingly, a key player of this book has a variation of their famous name: Vahan Cardashian was a leading activist fighting for the Armenians in the United States during the years leading up to and after the genocide. I am not sure about your education, but mine never covered the Armenian genocide, which is something that I find unfortunate. I had heard of the Armenian genocide before I read this book, but knew nothing of its details, except the genocide was carried out by the Ottoman Empire. 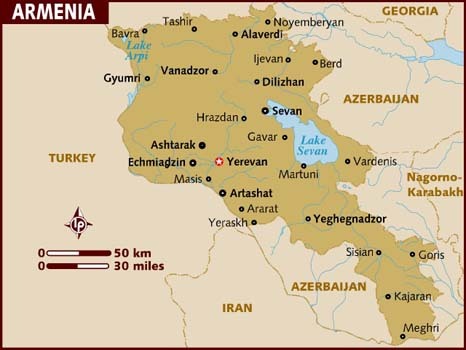 In fact, I knew practically nothing of Armenia except its location on a world map. Thus, I had braced myself for a difficult read with foreign names when I bought Michael Bobelian’s Children of Armenia. I could not have been more wrong. I was very impressed by this book. By the first chapter, I forgot that I was reading a non-fiction book. It reads like a thriller, containing so many of the aspects which are indeed the subject of modern-day thriller films: international diplomacy, regional politics, and terrorism. Despite these aspects, Children of Armenia never loses its sense of humanity and never lightens its intense subject matter of genocide. Bobelian is himself of Armenian descent and is the grandson of Armenian genocide survivors. The book also appears to be extremely well-researched, with extensive notes and a wide index. Perhaps the most interesting aspects of the Armenian genocide are the events which occurred after the genocide. Despite promises from many key politicians and the newly-formed League of Nations following World War I, the Armenians found themselves without aid and without support. Despite a strong interest in the United States to provide justice for the Armenians, this justice was quickly lost to geo-political interests following World War II. Armenia fell under the Soviet Union’s sphere of influence, and Turkey was considered to be a strong and strategic ally. Thus, we see how the Armenian genocide fell into relative obscurity, forgotten by many of the world’s key players. I feel as if this genocide and this book deserve our attention, as we discuss genocide. It provides an excellent example of how we should not react to genocide. Moreover, it encourages us to actively engage in the international discourse, in order to ensure that our reactions to future conflicts are different from this reaction. Please feel free to comment on the topics I mentioned, or note something interesting from the book. I look forward to hearing your opinions!